When you face a state or federal drug charge in Nebraska, your life is at a crossroads. 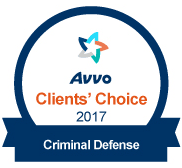 Choosing the right criminal defense attorney can make all the difference in your case. 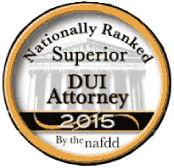 When you select Olsen Law Offices, P.C., L.L.O.., you get the premier drug charges defense lawyer in Nebraska. Attorney Tom Olsen, a Former Assistant State Attorney General and Assistant Omaha City Prosecutor, knows how to reach positive outcomes in all types of drug cases. One of Attorney Olsen's clients was charged with possession with intent to deliver more than 1,500 pounds of marijuana, one of the largest cannabis stops in Nebraska history. Attorney Olsen's investigation revealed insufficient evidence to tie the client to the charges, and he negotiated a full dismissal for the client. Attorney Olsen has successfully represented thousands of clients, both from Nebraska and out-of-state, including charges of drug trafficking and drug manufacturing. Whether you face a misdemeanor or felony drug allegation, he is the adept legal professional to have by your side. As Colorado, California, and other western states legalized recreational marijuana, Nebraska's I-80 became a route for the transportation of legally purchased cannabis flowing east. Law enforcement took notice, and I-80 drug busts are a common occurrence. Police are often overzealous in their targeting of potential drug couriers or those simply carrying marijuana for personal use. This includes questionable traffic stops and drug dog searches, as well as illegal search and seizure. Attorney Tom Olsen is a champion for citizens whose rights have been violated by law enforcement. With a full investigation of your case, he can determine if this happened to you. If it did, he will demand dropped charges. 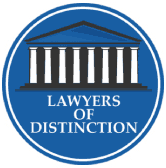 If your situation requires aggressive negotiation with prosecutors to achieve a favorable resolution, Attorney Olsen's experience and reputation can prove invaluable. Few legal situations are more terrifying than when you face a serious drug charge in a state other than your own. This is not uncommon in Nebraska, as police frequently target rental trucks and vehicles with out-of-state license plates. If you are from another state and have been arrested for a drug violation, contact Olsen Law Offices, P.C., L.L.O.. immediately. Attorney Tom Olsen will seek a bond agreement that lets you go home until further notice. Attorney Olsen will also request a waiver so he can appear for you at the initial plea hearing. His goal is to get you the best deal possible with the least amount of travel and inconvenience to you. 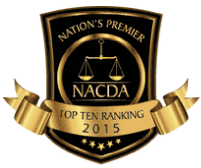 A drug conviction can severely impact your employability, finances, and even your freedom. 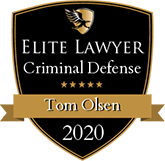 Olsen Law Offices, P.C., L.L.O.. and Attorney Tom Olsen are here to fight for you. To learn how we can help, contact a 24/7 Seward County criminal defense lawyer today at 402-598-5789. We also serve clients in Lancaster County, York County, Buffalo County, Lincoln County, Hall County, Lincoln, Papillion, Sarpy County, York, Grand Island, Kearney, and North Platte.